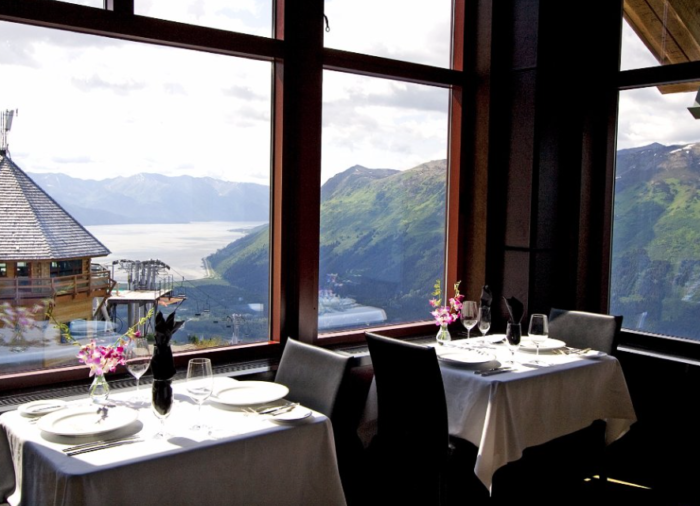 The Seven Glaciers is one of Alaska’s most elegant restaurants, and the view is certainly incredible. 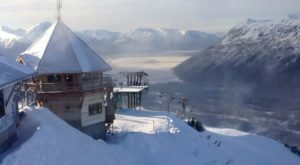 High up in the Chugach mountains in Girdwood, the Alyeska Resort is one of the world’s best ski destinations. 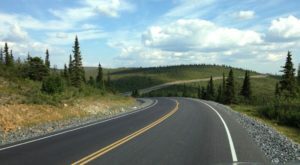 In the summer, the mountains offer endless hiking opportunities and berry picking. Any time of year, you are bound to work up an appetite. 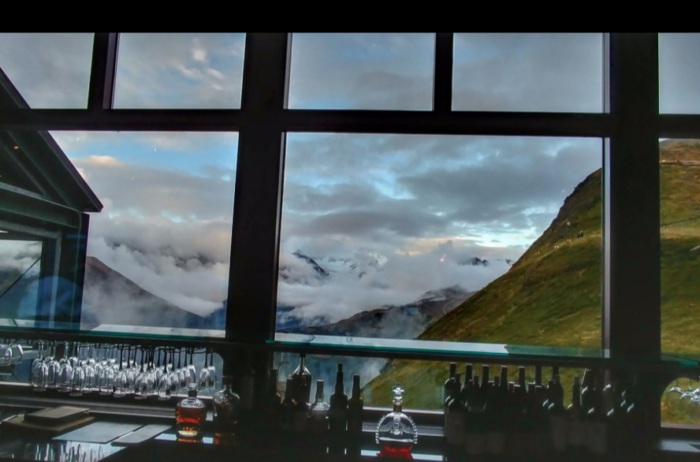 The Seven Glaciers offers truly gourmet dining with the kind of killer views found only in Alaska. 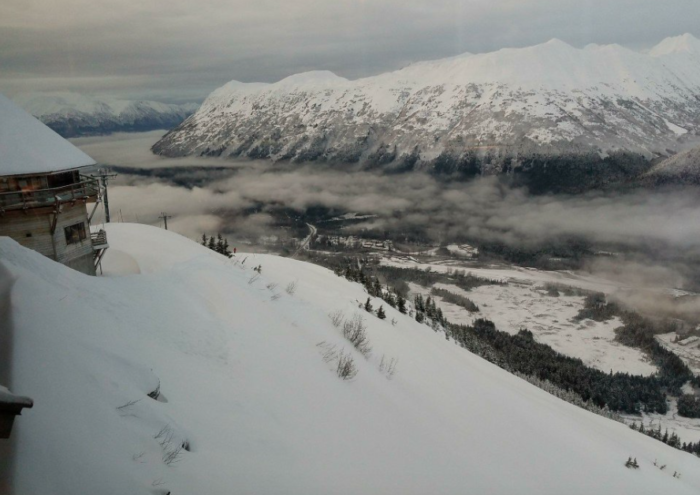 To get to the dining room, you must take the tram up the mountain at Alyeska. 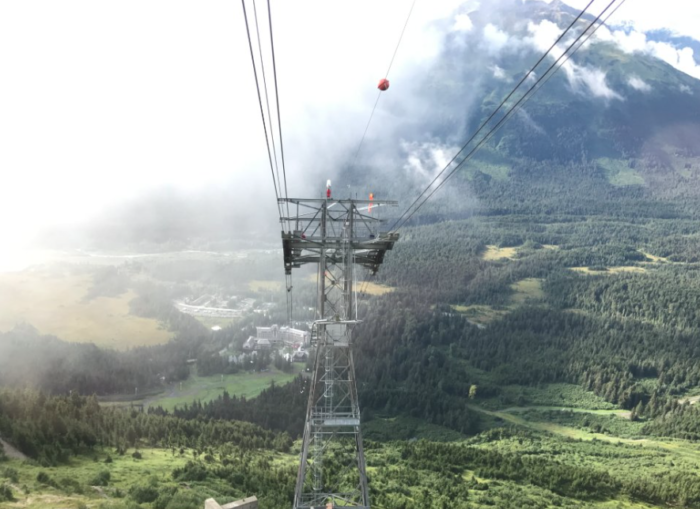 The tram zooms up for a 3-7 minute scenic cruise up 2300 feet to the top of Mount Alyeska. 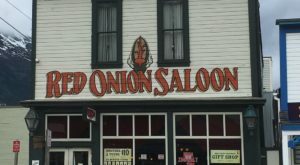 The dining room is perched on the mountain, surrounded by windows. From every seat in the house, there is a gorgeous view of one, or more, of the seven glaciers and ocean views. The endless perfect powder is what brings all the skiers and snowboarders to the resort, and the view from October to April. 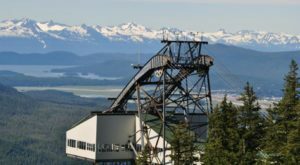 The mountains look great in a fresh coat of white snow. The restaurant features an exquisite wine cellar. In fact, according to Seven Glaciers is a recipient of the 2017 Wine Spectator Best of Award of Excellence! 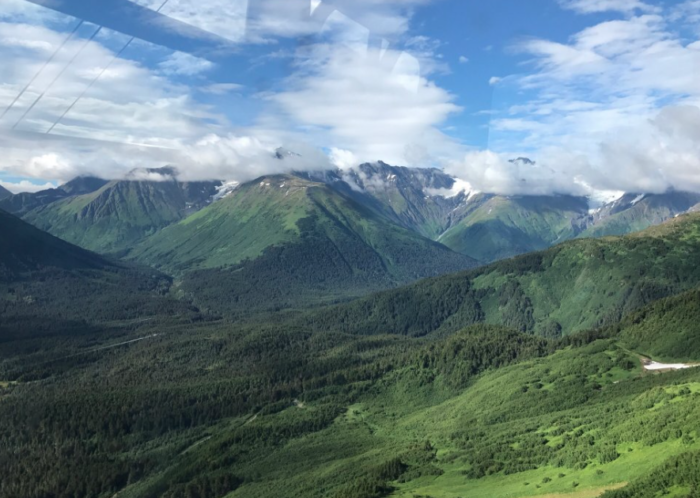 The Chugach Mountain range, where Girdwood is nestled, is dotted with glaciers that feed into creeks, eventually flowing into the Turnagain Arm. The silty flats glisten beautifully in the sun anytime of year. 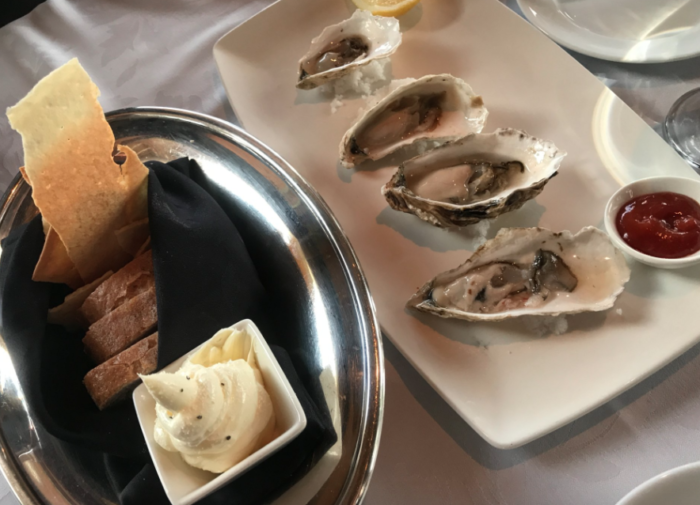 Kachemak Bay oysters are right at home alongside caviar at this 4 star dining experience. 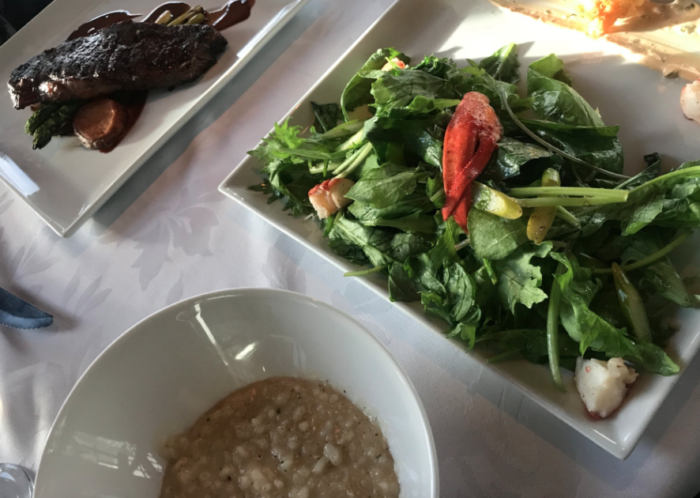 The menu is created seasonally by the expert chefs to incorporate Alaskan seafood and local produce. 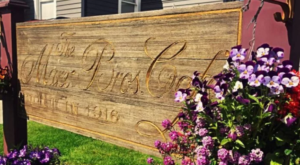 The finest meats, and specialty ingredients round out the 4 star menu with grace. 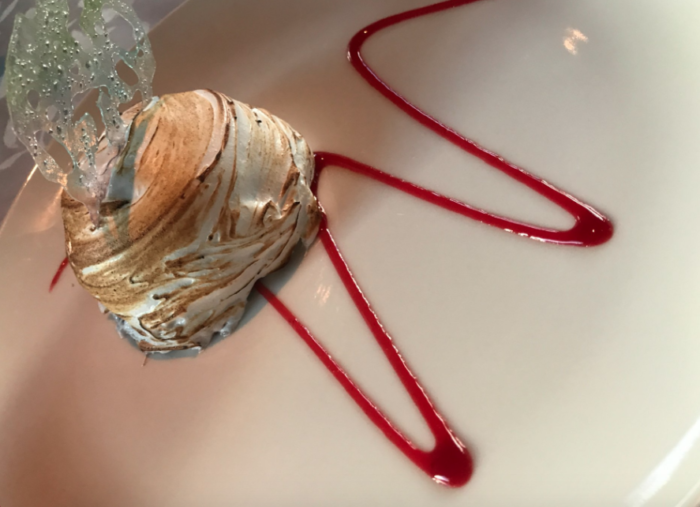 The house specialty dessert is the Baked Alyeska, a play on the classic Baked Alaska where ice cream and cake are covered with meringue and browned quickly. This unique version has two kinds of mousse, ganache and meringue and is simply divine. 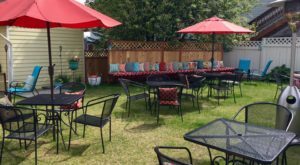 Dine at the Seven Glaciers for a truly exquisite meal in a gorgeous part of Alaska. The delectable cuisine and the view combine to make this a really memorable dining experience. 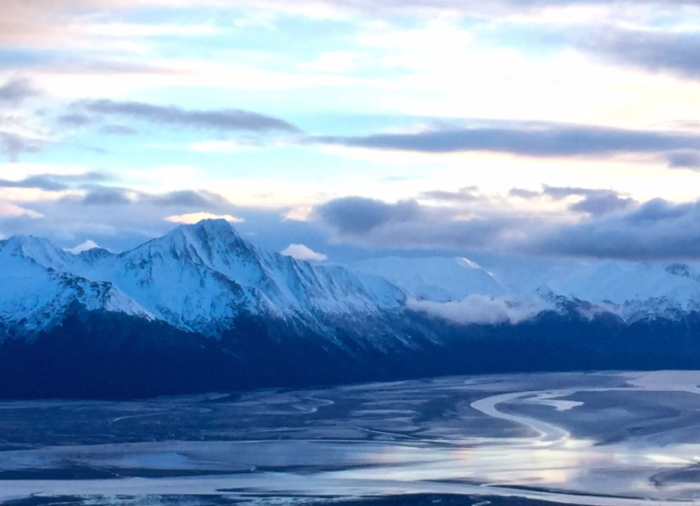 And you'll never forget the incredible views found only in Alaska. 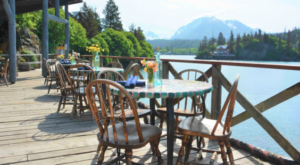 If you like dining with a view, try these 8 Picture Perfect Restaurants In Alaska That Belong On A Postcard and These 10 Restaurants In Alaska Have Jaw-Dropping Views While You Eat. Have you been to the Seven Glaciers? Tell us about it in the comments below.